In 2011, the AzAA Board established a Memorial to pay tribute to friends and colleagues who were significant contributors to the aviation/airport industry in Arizona. For suggestions or contributions to In Memoriam pages, please contact AzAA Headquarters. Neilson “Dutch” Bertholf began his career at Phoenix Sky Harbor International Airport as Aviation Director in 1982 when the airport recorded approximately 7 million passengers. For 16 years, Dutch steered Sky Harbor through periods of unprecedented growth. By the time he retired in 1998, that number more than quadrupled to 31 million passengers. The number of airlines at Sky Harbor doubled and international air service came to Phoenix in that same span of time. Dutch also oversaw the construction of Terminal 4, which opened in November 1990, and he was still Director when construction on the third runway began in 1997. All told, his aviation career spanned more than 50 years. Dutch served as president of the Arizona Airports Association in 1983-84, and the Spring conference was named in his honor upon his retirement. He also served as president of the Southwest chapter of the American Association of Airport Executives (AAAE) in 1990-91, and was chair of AAAE in 1996-97. He was also very involved in the Fiesta Bowl and Boy Scouts of America. Dutch was well known for his professionalism and soft spoken approach, not to mention his boisterous and very recognizable laugh. He was both mentor and friend to many in the industry. Wally started his 36-year airport career as a firefighter while in college. After graduating from the University of Arizona with a business degree, he joined the airport planning department, eventually working his way up to President and CEO in 1979. "If you were lucky enough to know him, his qualities were in plain sight. If not, just look around Tucson International the next time you catch a plane. Somebody with vision and passion was in charge for the last couple of decades." Elmer began his 22-year career with the Tucson Airport Authority (TAA) as a Safety Officer in 1978. Before joining TAA, Elmer served in the United States Air Force for 23 years in Management of Administrative Services. From his first job at TAA, Elmer became a key member of the newly established Planning and Development Division. It soon became a multi-disciplined group that manages TAA's airport grant funding, airport planning services, project development and construction services, environmental services, and architectural and engineering technical resources for Tucson International Airport (TIA) and Ryan Airfield. As Project Director, Elmer managed many projects involving the construction, renovation and expansion of TAA infrastructure at both airports. These projects included the reconstruction and expansion of the TIA main passenger terminal complex, development of the TIA air freight complex, the extension and reconstruction of runways, taxiways, and aprons at TIA and Ryan, construction permanent of Ryan's first control tower, and management of tenant improvement developments at both airports. Retiring from TAA in 2000 as Planning and Development's Director of Special Projects, Elmer was a respected and dedicated airport professional. He was an Executive Emeritus member of the Arizona Airports Association. Bruce Kevin Loev was a member of the Arizona Airports Association who passed away on July 10, 2013 at the much too young age of 51. Bruce had been a corporate member of AzAA and a Corporate Director on the AzAA Board of Directors. Bruce also started the pool tournaments held at the AzAA Conferences and the tournament now bears his name (The Love Bruce Pool Tournament) as a memorial. I first met Bruce at the AzAA Fall Conference in Yuma in 1999 and we immediately became fast friends. We shared a great love of music and spent many hours listening and discussing music, lyrics, and bands. I always referred to him as Dr. Love, loosely referring to the KISS song by the same name (“Calling Dr. Love”), but more precisely referring to his vast knowledge of music and his impeccable musical taste! Bruce was born in Pennsylvania on 05 May 1962 and went to school in Pennsylvania and New York. He graduated from Lehigh University with a Civil Engineering degree in 1983 and began working in the aviation industry. Bruce worked for several engineering firms over the course of his career and also spent two years working for the Port Authority of New York and New Jersey. Bruce worked over 25 years in the aviation engineering field and was always very active in industry groups like ACC, AAAE, SWAAAE, and of course, AzAA. He was a recipient of many awards in the field of aviation such as the ACC Board of Governors Award in 2003 but he never won the AzAA hat (although I coached him on several occasions!). Bruce had two wonderful children, Jennifer and Brian, with his wife Linda who were married for 23 years. Bruce and Linda raised the children in New York, Florida, and Arizona. He had married his second wife Ruth just a few days before the accident that claimed their lives. Bruce loved to ski, travel, listen to music, and he taught his children to love themselves, to follow their hearts, and to let go of the negatives that may slow them down from enjoying life. He had a terrific sense of humor and we shared lots of time laughing. One year we put together a routine based on the Abbott and Costello skit “Who’s on First” that Bruce had re-written the script using airport identifiers. We performed it at both the SWAAAE and AzAA conferences that year and I will always cherish the time we spent rehearsing the skit in my kitchen. I was verklempt (a Yiddish word Bruce taught me that means choked with emotion) at his untimely demise! But while Bruce’s passing was certainly a great tragedy, we should remember him for the vibrant and exciting man he was and the powerful spirit that that filled him. Enjoy the song here with lyrics and as you think of the Doctor, you’ll see and hear the connection. Bruce was a special man and magical spirit, I am glad to have been to his friend and the world was a better place because he was here. AzAA will always remember him for his contributions and I will miss him and all the joy he brought us over the years! Submitted with Love and Respect. John McMahon left this world much too early on June 27, 2017. He accomplished a lot in his short aviation career and immersed himself in the industry. He became the Buckeye Airport Coordinator in 2013 and quickly began learning all he could about the airport and the industry. To better understand aviation from a pilot’s perspective, he earned his private pilot certificate. To learn about aviation in the state, he joined AzAA. To increase his knowledge base on the aviation industry as a whole, he earned his Certified Member designation from the American Association of Airport Executives. Buckeye Airport is staffed with only one position, the Airport Coordinator. As such, all of the responsibilities of operating the airport fell squarely on John’s shoulders, and he did an outstanding job at all of them and took a great deal of pride in his work. His legacy at Buckeye lives on. John was a dedicated family man who made friends everywhere he went. He is dearly missed, and thought of often, - by the AzAA family. 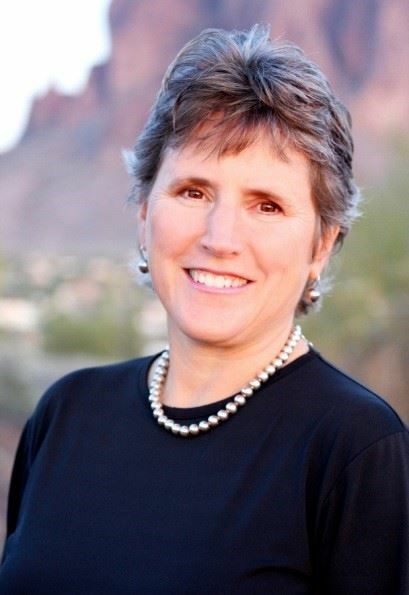 During her 25+ year career with the City of Phoenix, Jane worked in numerous City departments in leadership roles focused on the development and operation of municipal owned facilities and services, including the new developments of the Phoenix City Hall Complex and expansions of the Phoenix Convention Center and Metro Light Rail system. For seven years, Jane held various leadership roles at Sky Harbor International Airport including Assistant Aviation Director and Deputy Director of Planning and Environmental Services. Notable aviation projects that benefited from Jane’s leadership include the PHX Sky Train, Inline Baggage Handling System, Rental Car Center, parking facility improvements, two general aviation airport master plans, and numerous airfield projects. When Jane retired from the City of Phoenix, she held the position of Deputy City Manager. Ms. Morris first joined Phoenix‐Mesa Gateway Airport in November 2012 as Director of Special Projects, leading the implementation of its 20‐year expansion plan. The following February, she was named Executive Director of the airport, replacing Lynn Kusy, who led the airport for two decades. At Phoenix-Mesa Gateway Airport, Jane led an organization with a total economic impact over $1.3 billion. Jane received a Masters of Public Administration from ASU and undergraduate degree from the University of Iowa. At Iowa, Jane was a two-time co-captain of the women’s Division 1 field hockey team and was on the Big Team Championship team her senior year. She achieved the prestigious Accredited Airport Executive certification from the American Association of Airport Executives. Jane was recognized in 2010 by the WTS Metropolitan Phoenix Chapter as Woman of the Year. Jane was a mentor to many women who worked in local government. She was involved in the Women Leading Government Chapter in Arizona and her family started a scholarship through that organization in her honor. The donations received on Jane’s behalf will allow for women in the profession to further their career in local government. Christine graduated from Arizona State University with a Bachelor of Science in Aeronautical Management Technology. While attending ASU, Christine was hired by the City of Phoenix Aviation Department as a Public Information Aide intern for the Facilities and Services Division. In 2001, she was hired by America West Airlines as a Customer Service Representative at PHX. After a short stint with AWA, Christine furthered her aviation career with Ricondo & Associates assisting in various airport planning studies. Christine had a dream of working for an airport and landed a job at Phoenix Sky Harbor International Airport as an aviation planner. In her short time with the City of Phoenix Aviation Department, she was instrumental in obtaining over $10 million in FAA grants for development at all three City of Phoenix Airports. Christine was promoted to project manager in September 2009. She was also a strong Philadelphia Phillies fan and saw them win the 2008 World Series. Founding Partner Z & H Engineering, Inc.
Marty graduated from Arizona State University with a Bachelor of Science in Engineering and a Master of Business Administration. During his 31-year civil engineering career he completed 120 individual airport projects at over 20 airports in the southwest. His experience included everything from master planning, site selection and noise analysis to facility design, and construction management. Two of his lasting achievements are the design and construction management of two new airport facilities, Glendale Municipal Airport and French Valley Airport. "Marty was many things...competitive but not combative, a man of endurance who knew how to finish what he started, adventurous, farsighted, gracious, and a leader. He was meticulous in his approach to life and he was a great mentor." A 34 year veteran in the aviation industry, Darryl served at Indianapolis International Airport for 29 years before moving to Arizona in 2009 to accept a position at Yuma International Airport as Deputy Director. 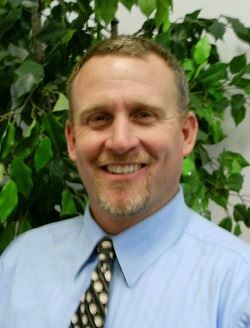 In 2007, he accepted a position as Assistant Airport Director for Laughlin/Bullhead International Airport. In 2011, Darryl was named the AzAA "Airport Executive of the Year". "Not only has Darryl made significant technical and material contributions to his career endeavors, he has a very effective leadership presence that impacts all who work with him. Darryl is a great asset to this airport, to the industry, and is a worthy recipient of this recognition by AzAA."